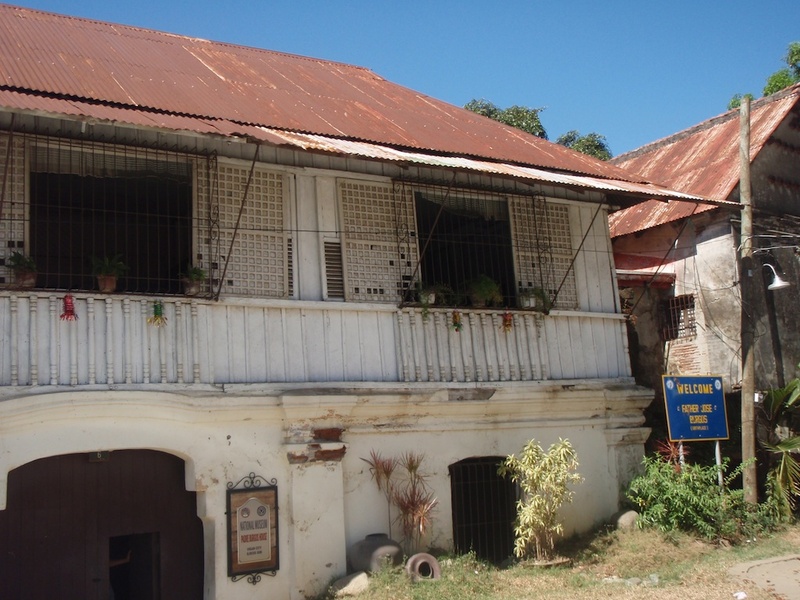 This is the birthplace and ancestral house of Padre Jose Burgos, a secular priest who was accused of mutiny by the Spanish colonizers in 1872. It was located in Vigan, Ilocos Sur. Burgos was executed - together with two other priests, Jacinto Zamora and Mariano Gomez - by garrote. Their execution inspired Jose Rizal, the national hero who was also executed by the Spaniards, to write the novel El Filibusterismo, which was published in 1891. The building is under the administration of the National Museum of the Philippines.